At ABCO, we utilize the latest versions of Kubotek KeyCreator® and Mastercam® to import, translate, and create component solid models. When necessary, we can assist you with product design. Working from conceptual sketches or prints, we will make any recommendations that will produce a better product best suited for the casting process. 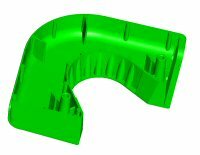 We have collaborated with customers as required to generate solid models and rapid protoypes of parts, based on their input, where none had existed previously. 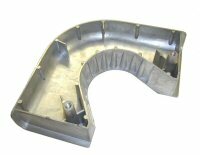 These models are used to design the required die casting tooling to produce the finished part. If the tooling design is done by our diemaking sources all design and gating details are approved by ABCO prior to construction. 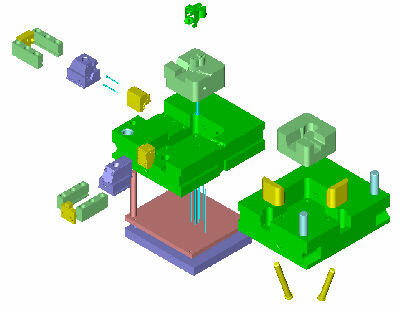 Usually, complete 3D tooling designs are done in house and supplied to diemakers. We can import IGES, ACIS SAT, STEP, STL, PARASOLID, SLDPRT, DXF, DWG, among others. If you do not use KeyCreator and can not supply native files, our preferred file format is STEP or IGES. In most cases, STEP files import well as solid models and IGES "surfaces and edges" can be converted back into solids. Direct file transfers of CAD data can be made as zipped email attachments (there is 5 MB limit on email) or you can contact engineering for access information to our FTP directory for file uploading. Copyright © 2000-2012 ABCO Diecasters, Inc.